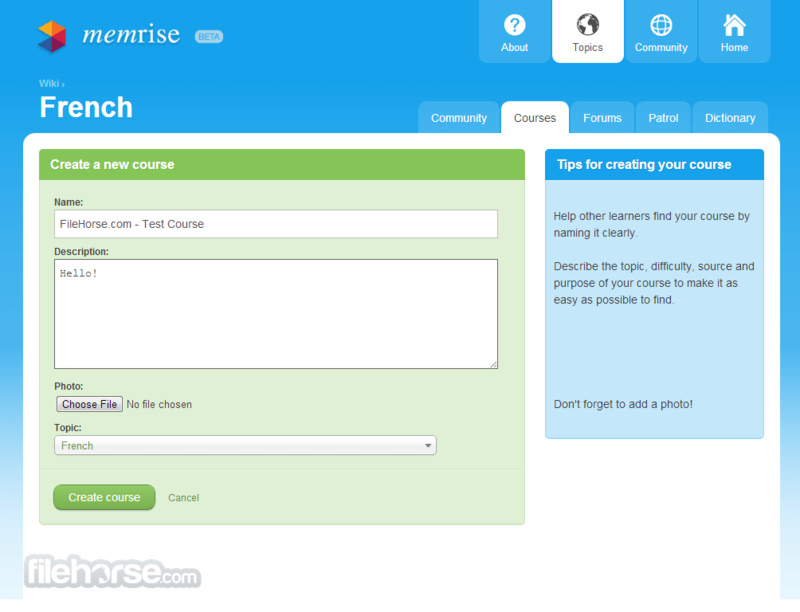 Memrise is one of the best online destinations for learning new language. Because of the large time commitment and difficulty involved in learning new languages, creators of Memrise have utilized the best possible technology and available science to simplify this long process. 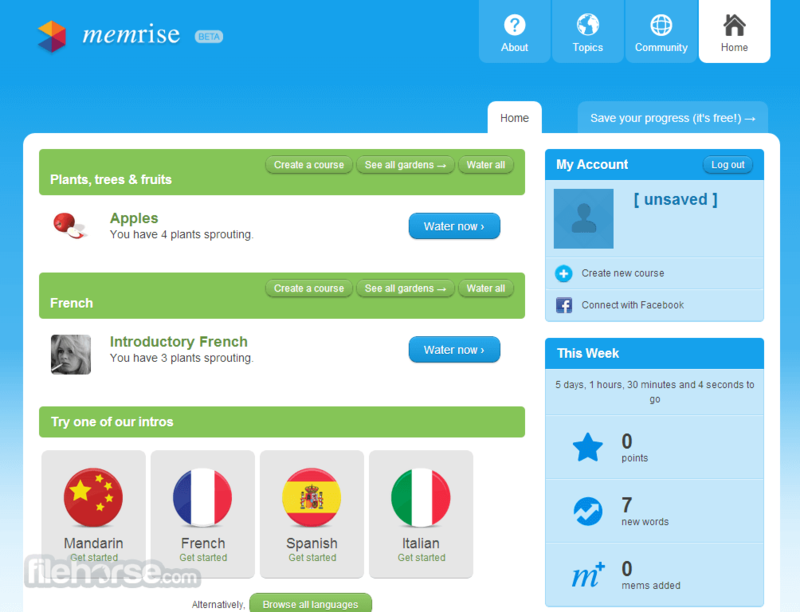 Upon arriving to Memrise, you will be welcomed with a choice of language you want to learn. After that, you will start slow. As each day grows the words that you learn will become part of your own digital garden, and eventually those seeds will start to grow and you will start learning more about words, and the ways to use them. Eventually, your garden will become fully grown, which will represent your ability to use that language. If you need to learn a new language for your job, want to prepare yourself for traveling, or you just think that knowning new languages will be fun, Memrise is a perfect online destination for you. Online language learning without barriers! If you want to learn new language on your own, one of the first things you have to explore is how dedicated can you be and what are the best tools that can help you preform that task. Learning using some of the popular web services represents the best bet for majority of people, especially because this type of learning will enable you easy and quick access to likeminded people and opportunity to test your foreign language progress directly with people who will be able to help you. Today, you can find countless online learning tools that can help you do that, but if you want to optimize your learning by having fun and interacting with precisely crafted lessons that will stimulate your memory. Memrise is one of the best apps for that, with learning expertise that was present in its core services from the first day this website appeared in public. Today in early 2014, Memrise managed to grow into formidable learning service that can help anyone to better prepare themselves for their daily challenges. 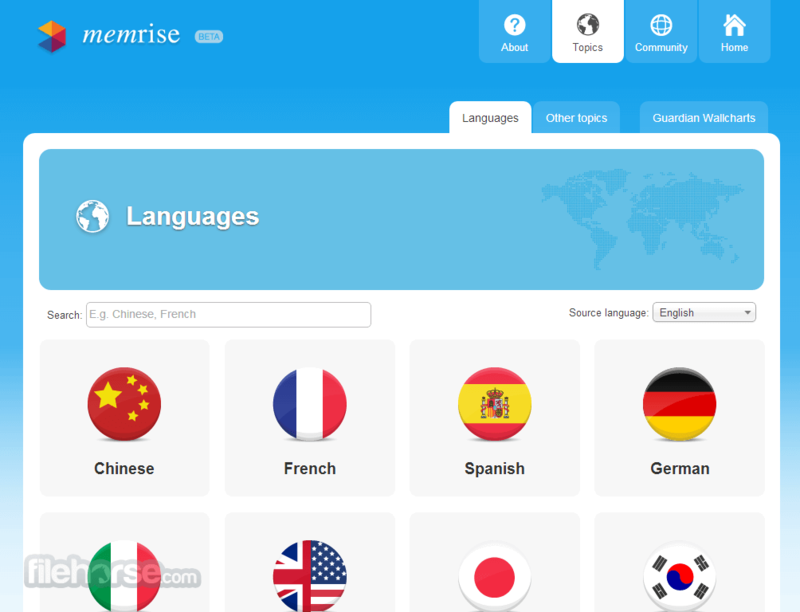 Memrise is one of the most effective and most reliable webapps that can help you to learn a foreign language. Core of its learning technique lies not in hundreds of large lesions that you have to read and revisit countless of times, but in focusing on massaging your memory with much easier techniques such as flashcards, spacing effects, mnemonics and quick tests. Built upon the knowledge of several memory, psychology and brain experts, Memrise immediately managed to capture the attention of the public. Because of the successful memory techniques that empower anyone to learn effectively and quickly all while having fun, today Memrise can be used for learning of not only foreign languages but also science, history, trivia, standardized tests, and many other things including professional and career knowledge and memory training. Currently, most popular languages that you can learn with Memrise are English, Spanish, French, German, Portuguese (Brazil), Italian, Russian and Chinese, with many other languages from Europe, Asia, Pacific, Slavic, Constructed languages and more. For of those languages you can access wide variety of courses, introductorylessons, basics, tests, interesting facnts, grammar, contexts, daily learning challenges, most common words, pronunciation and more. To promote light environment and fun while learning, many Memrise tests can be engaged in a friendly and competitive way with community of “mempals”. This power of community engagement is one of the key ways why Memrise has such successful learning program. Memrise features very intuitive and easy to use interface that enables anyone to very quickly browse site content, organize your learning, get graded and see opportunity for better learning. White and blue color theme is very nicely organized, with zero appearances of clutter or confusing navigation points. Tests are very neatly organized, with clear instructions how to approach them, and how to analyze your (and community) results. Memrise interface is perfectly scaled for use on iOS and Android portable devices. Memrise is 100% free. Anyoen can freely browse its website, but to access tests and lessons you need to create free user profile either manually or by using your Facebook credentials. Memrise is a great tool for learning and memory improvement while having fun and being engaged into addictive nature of “gaming” competition. We fully recommend it.